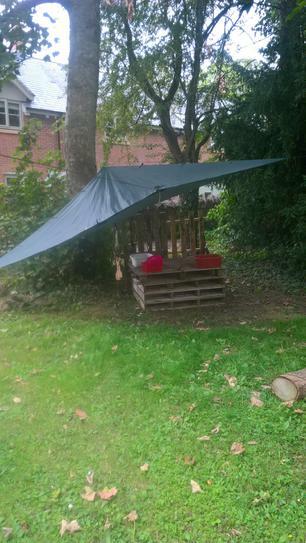 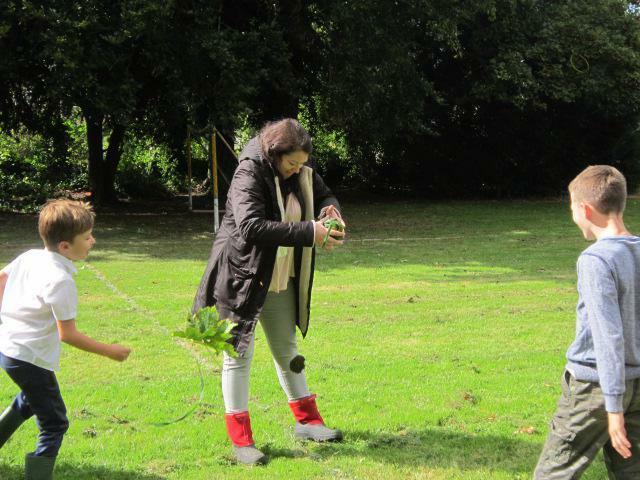 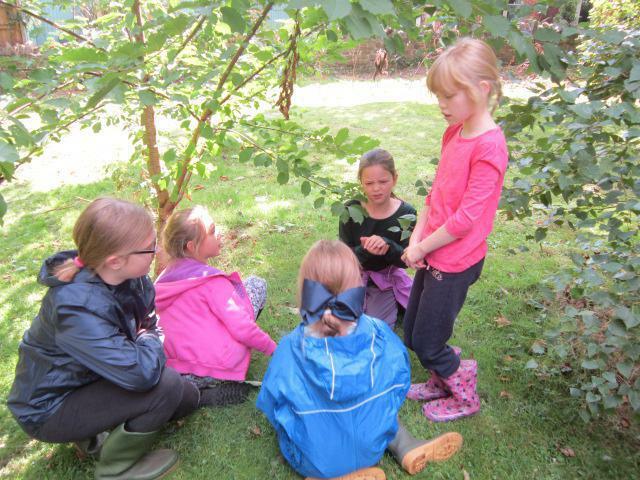 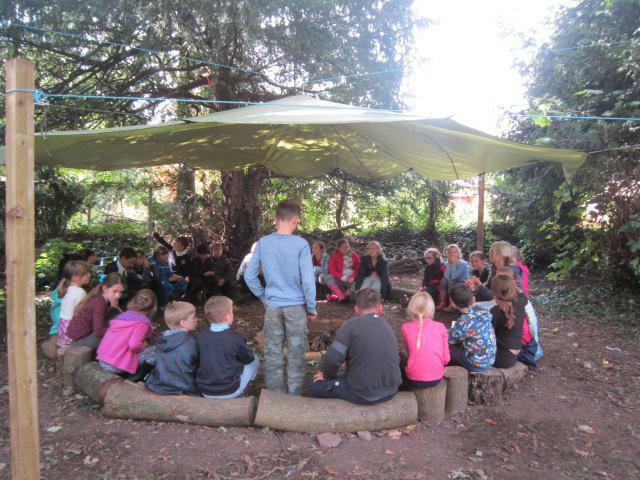 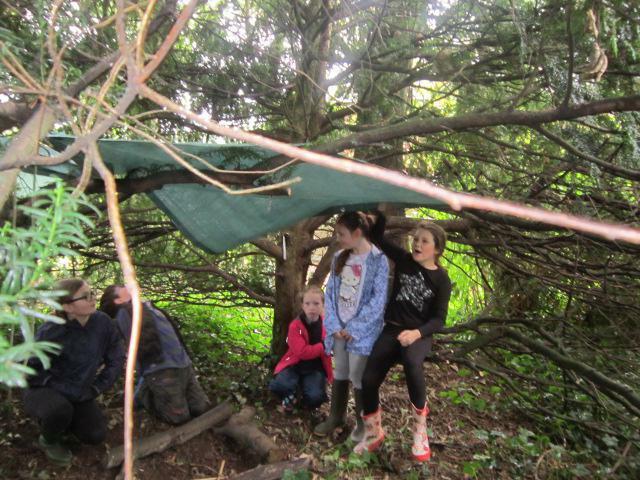 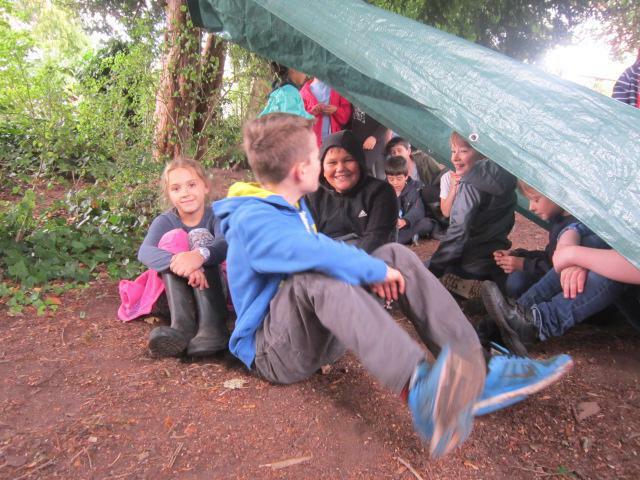 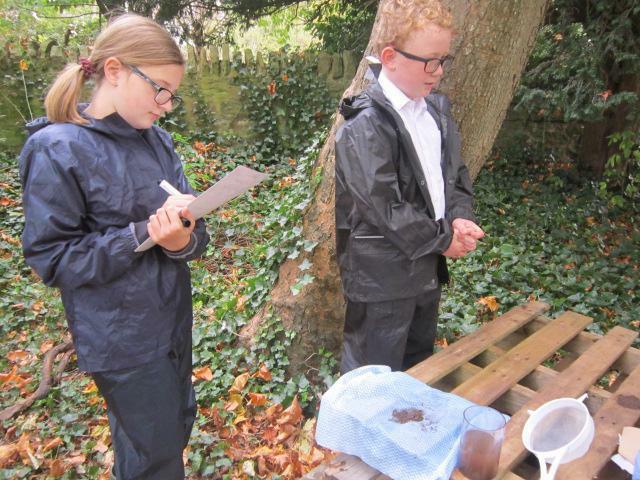 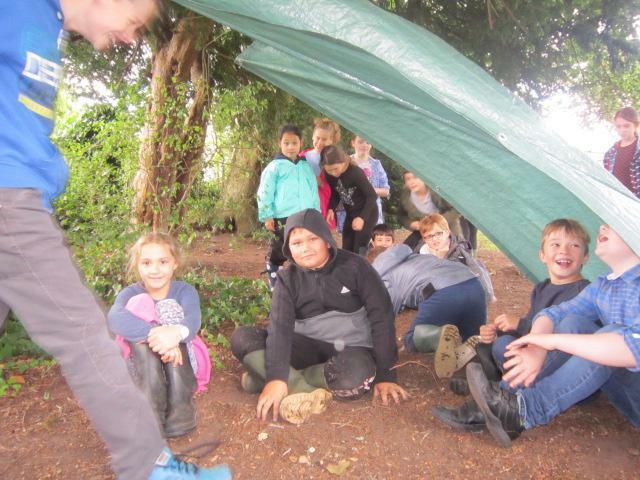 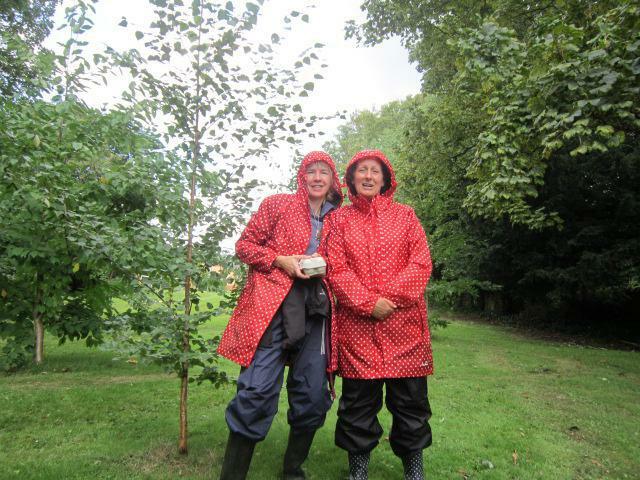 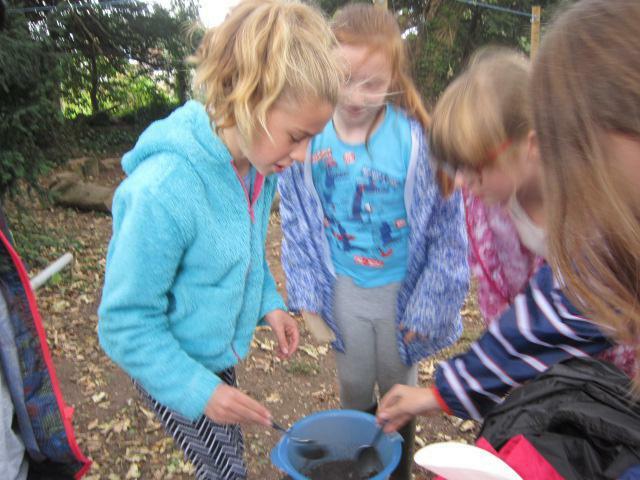 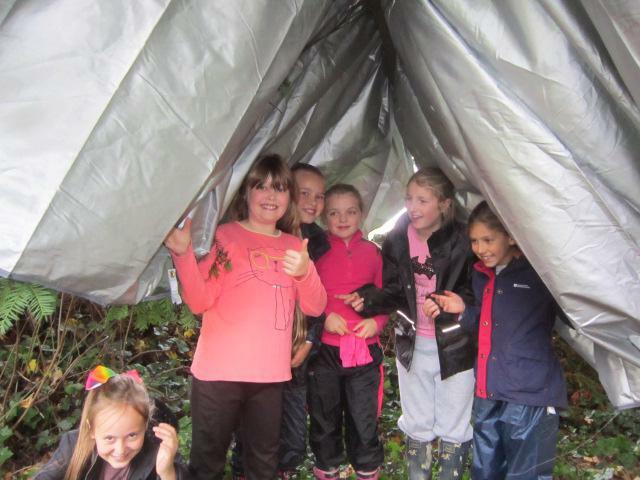 There has been lots of team building in Forest School this summer which have included putting up tents, writing nature inspired poetry using metaphors, erecting shelters from the pouring rain to include a water collection system and creating Mayan pottery. 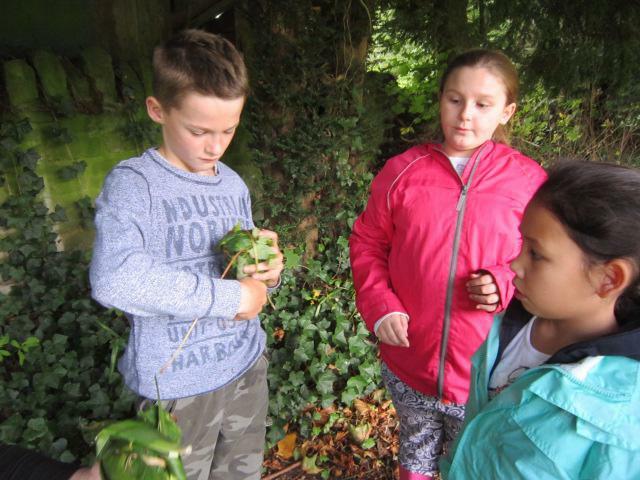 Summer term brings so many changes to learn about. 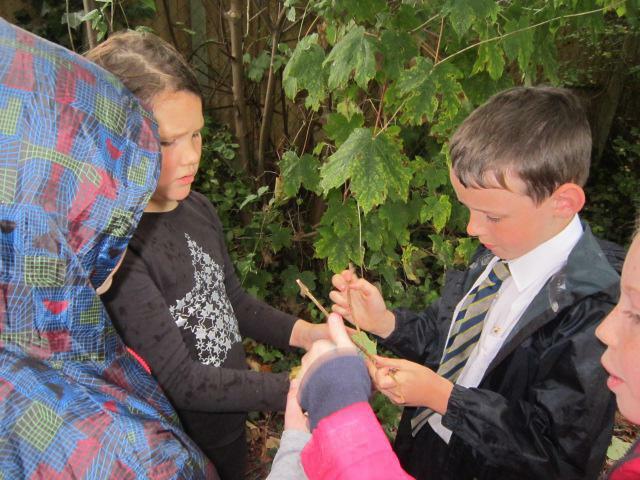 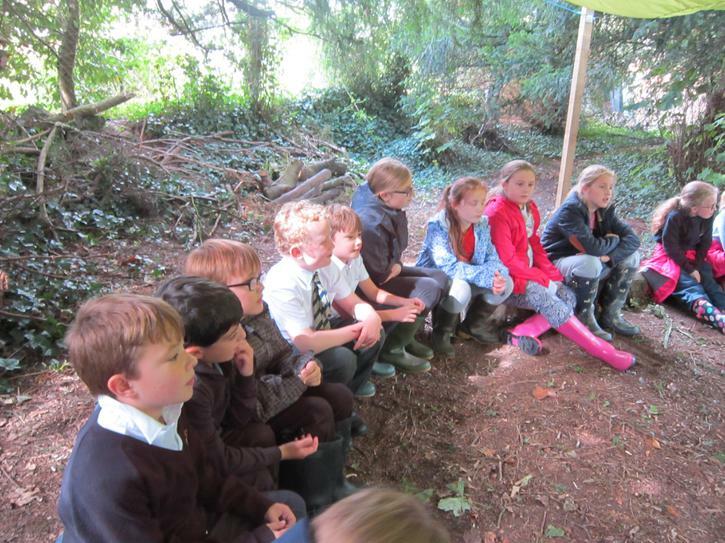 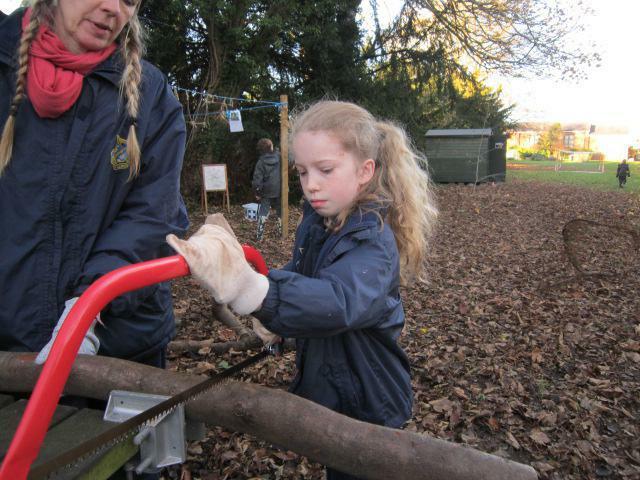 The children will be learning across the curriculum at Forest School. 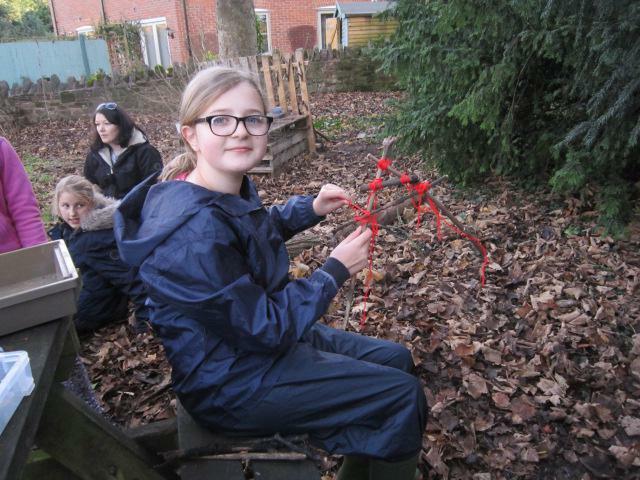 Building 3d nets using diagonal lash knots. 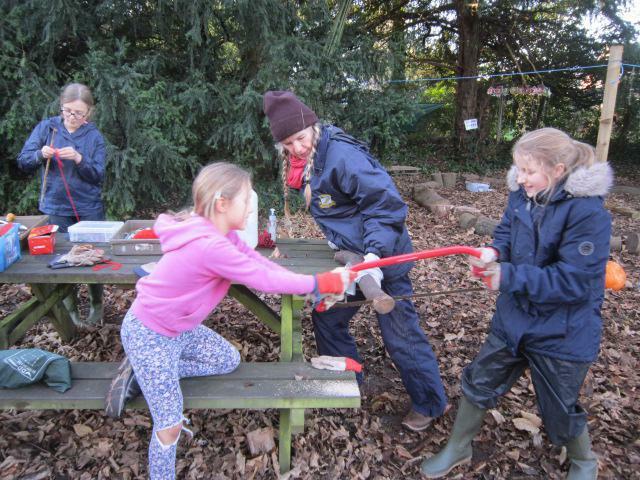 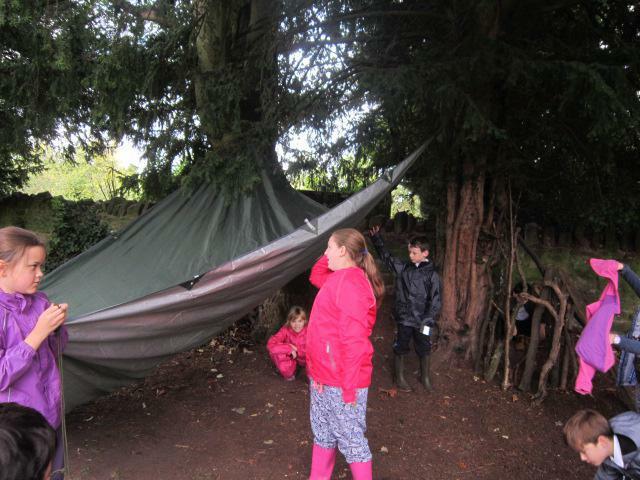 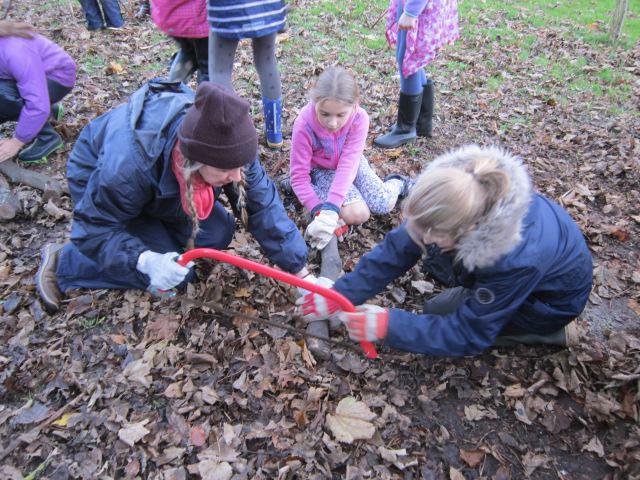 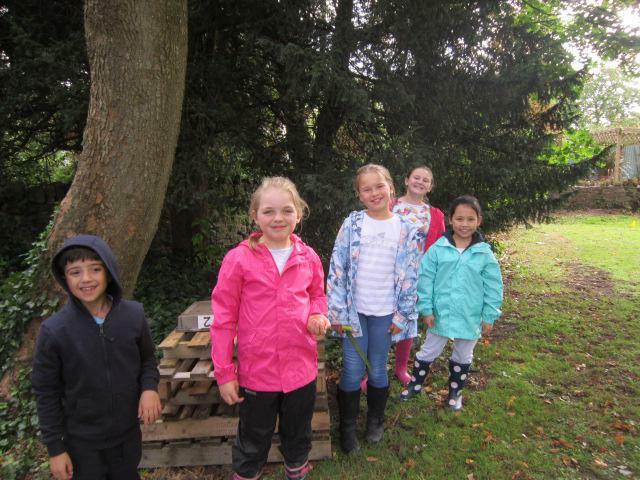 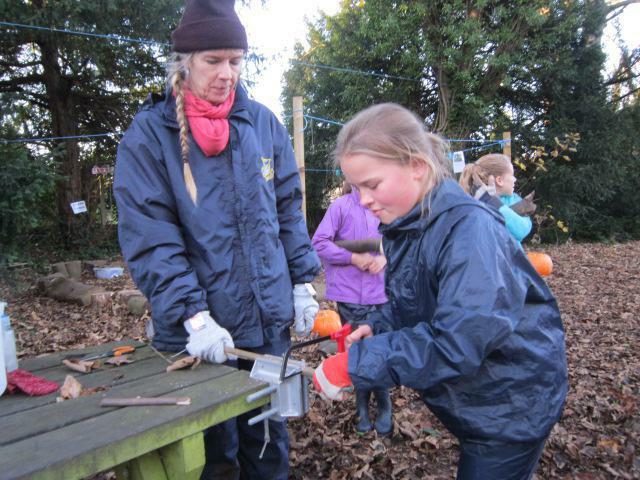 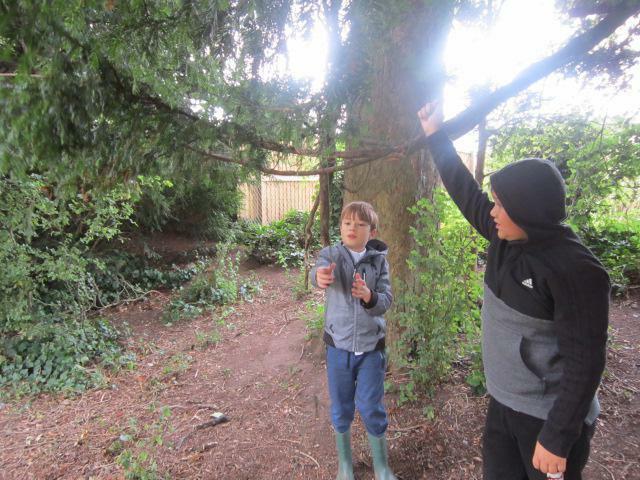 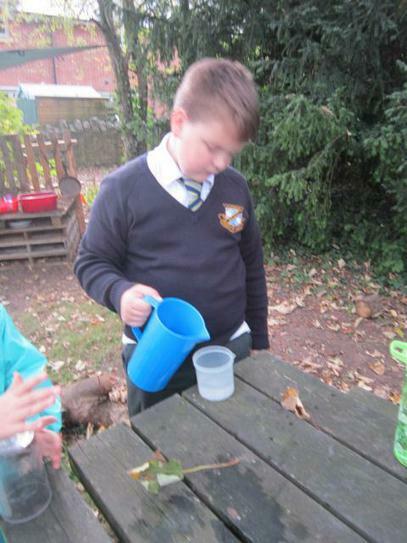 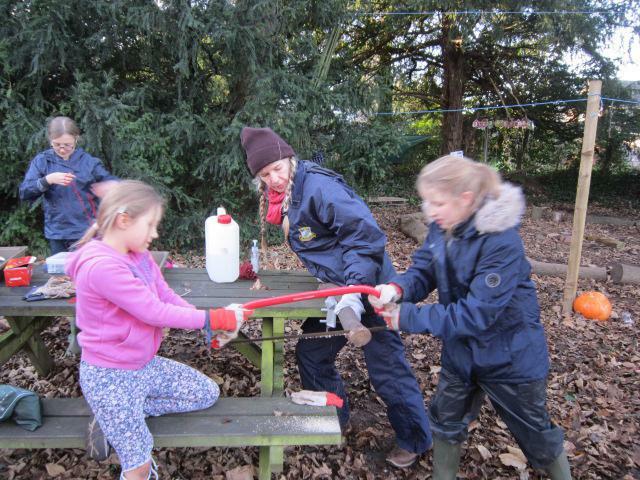 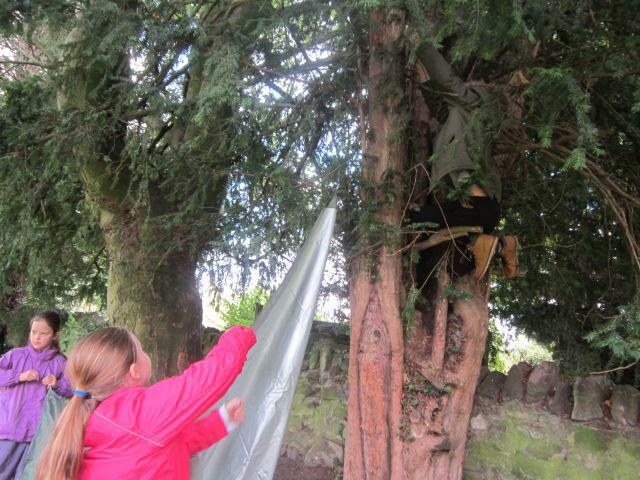 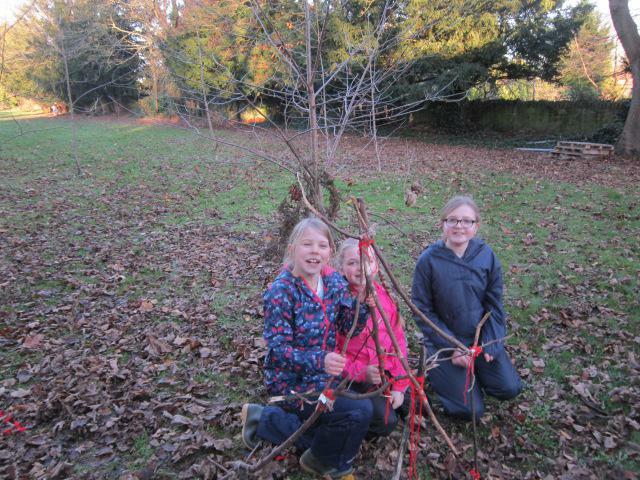 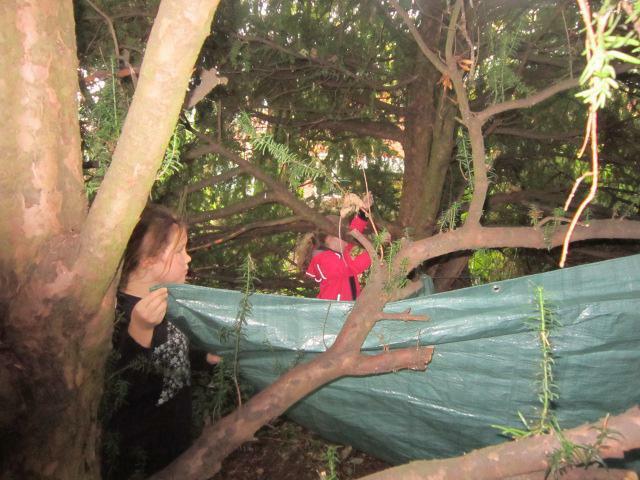 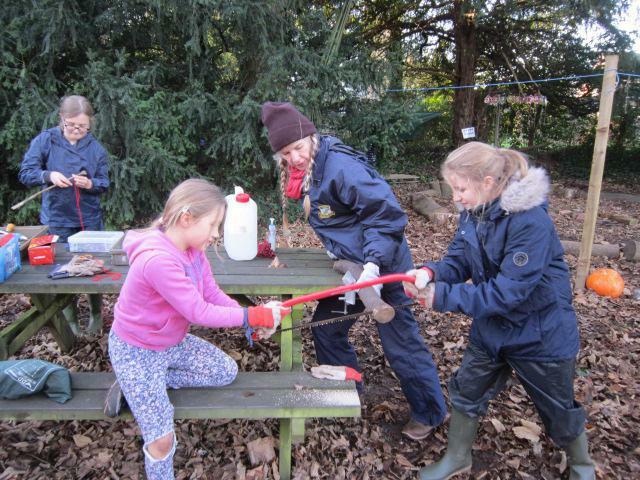 The children have taken on a wide range of challenges this term and embraced the cold weather. 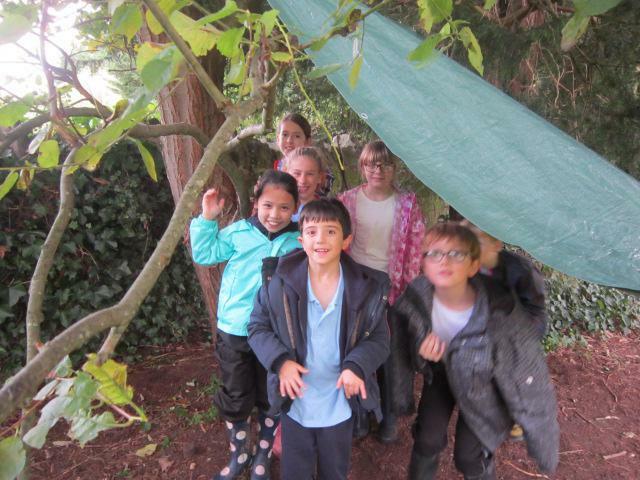 They've made a bridge that holds their own weight, learnt more knots and greatly improved their shelter design and spedd at putting up a tarpaulin as a team. 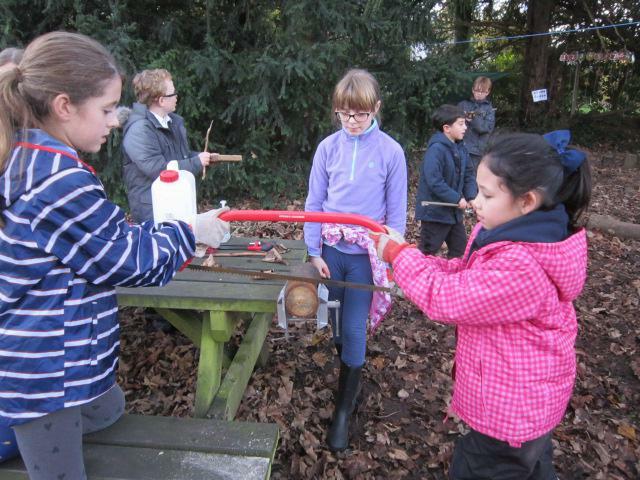 Class 4 have been working hard designing and making musical instruments. 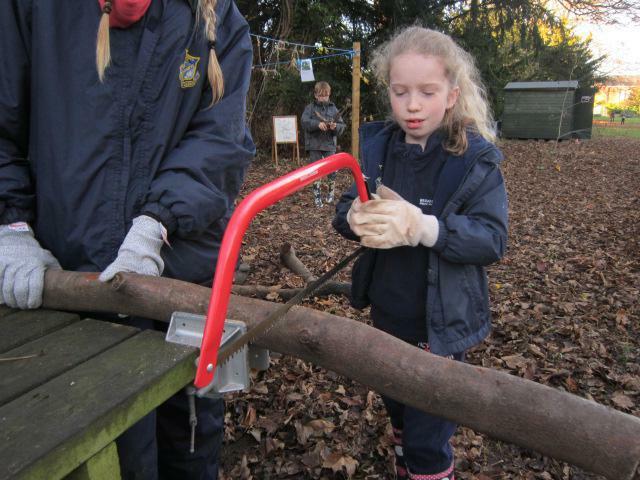 They have chosen their own ideas about what to make and are enjoying learning to use tools safely. 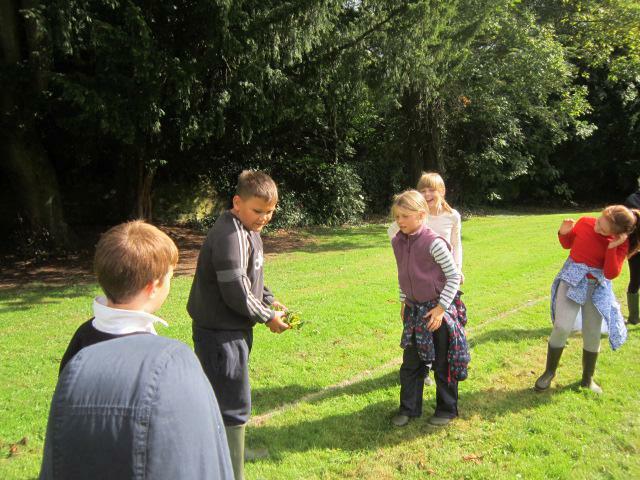 Class 4 had a special visitor who amazed them with his passion for and great knowledge of trees. 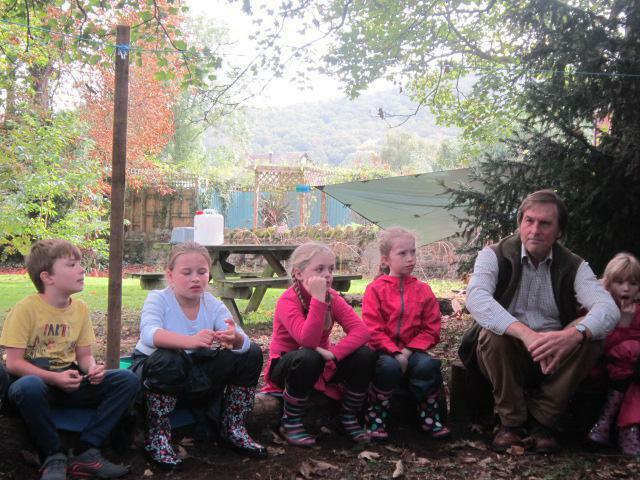 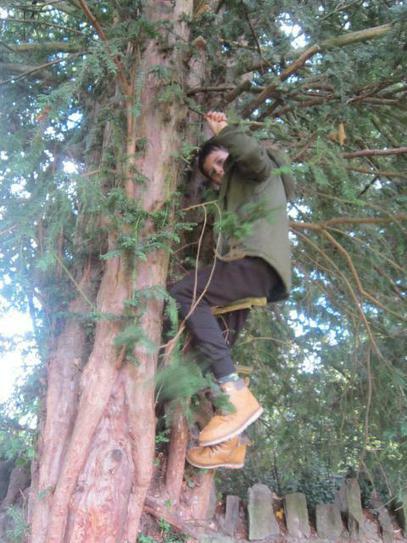 Mr. Rutter is a woodland management specialist who is involved with many projects. 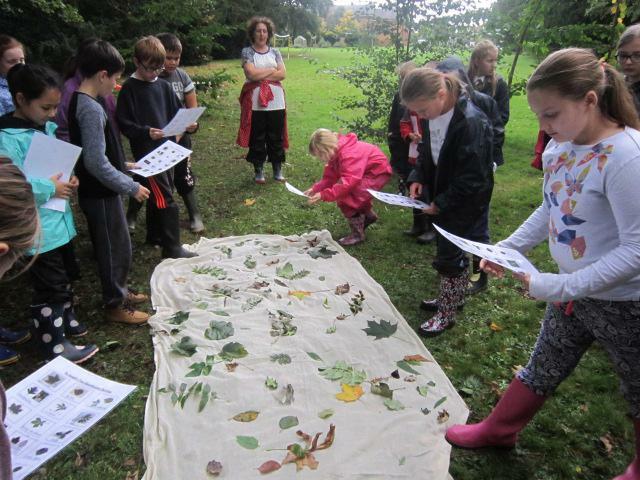 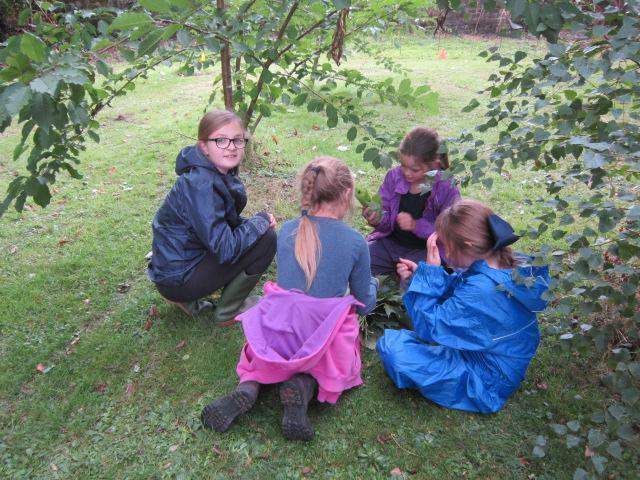 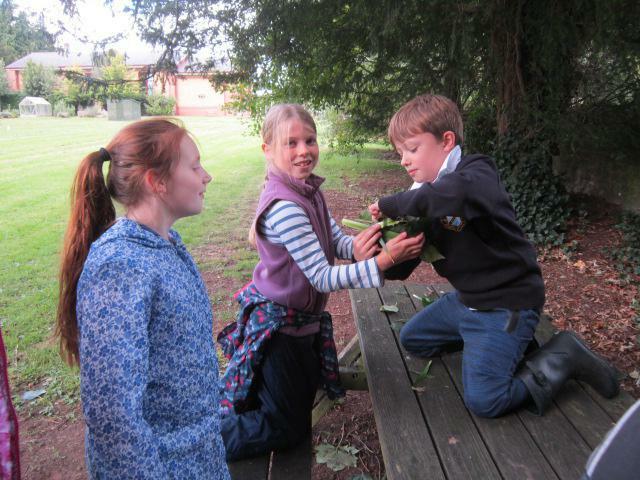 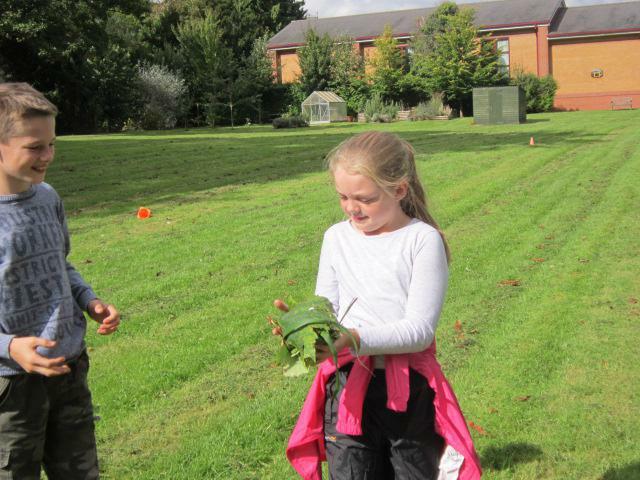 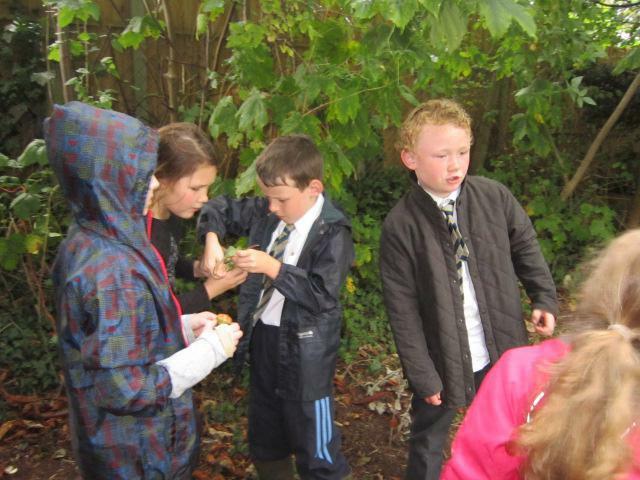 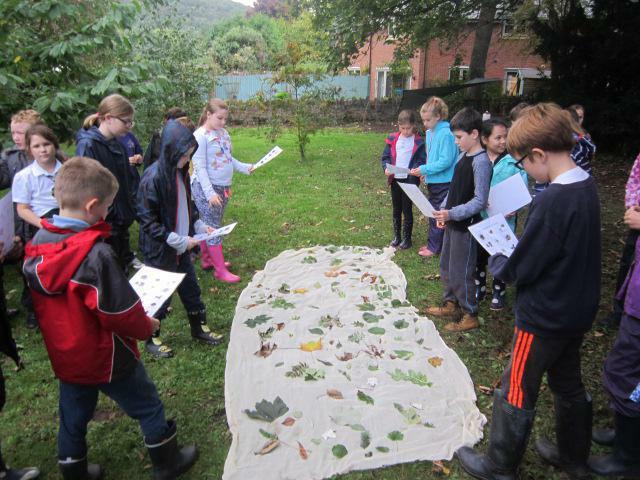 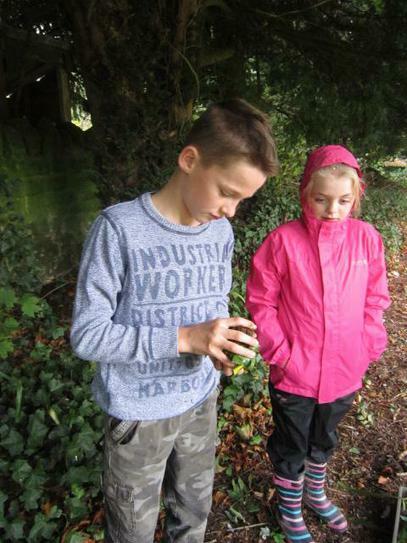 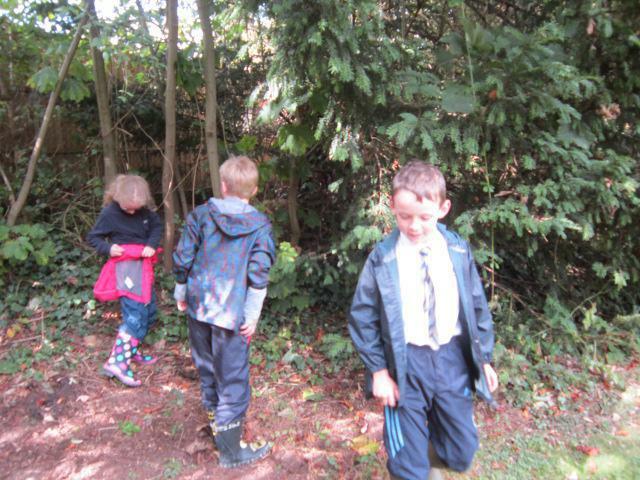 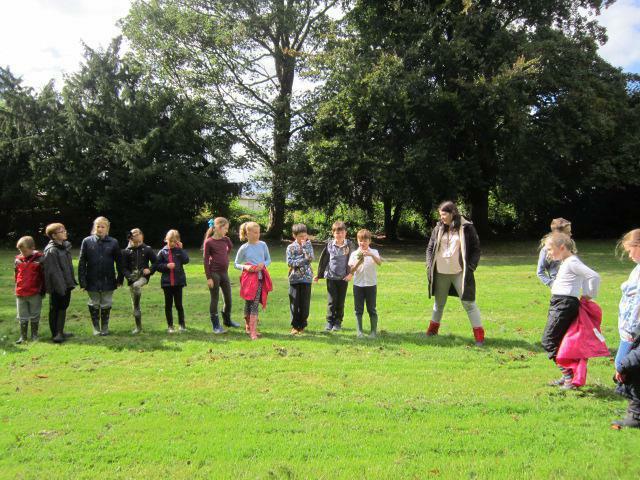 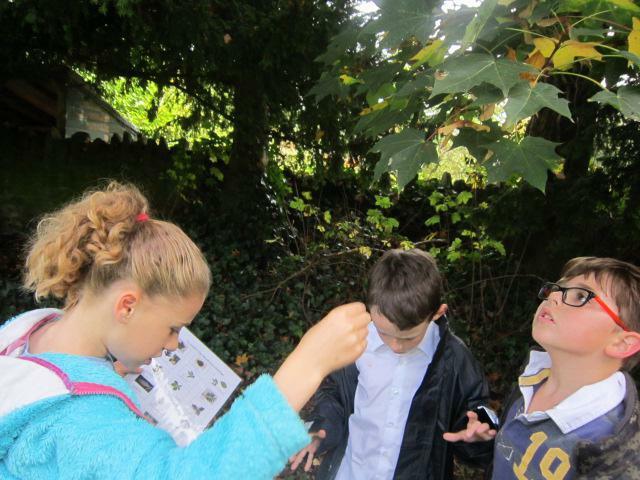 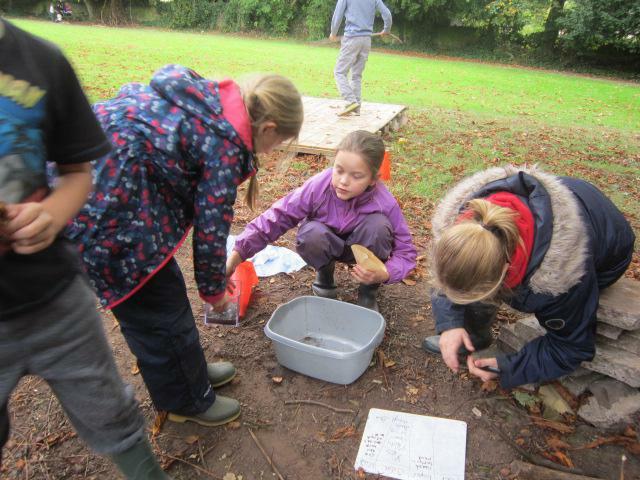 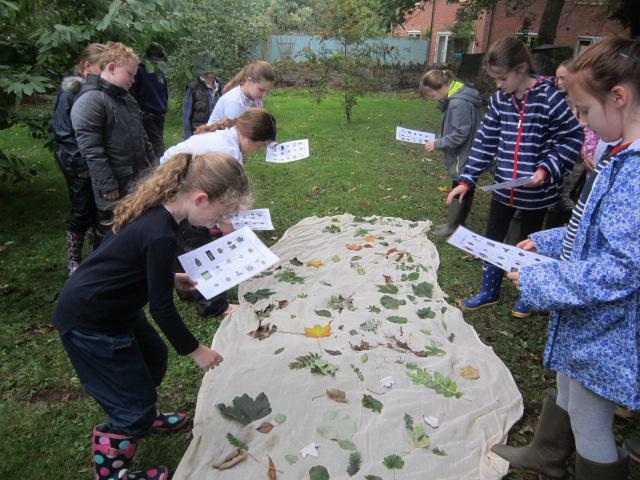 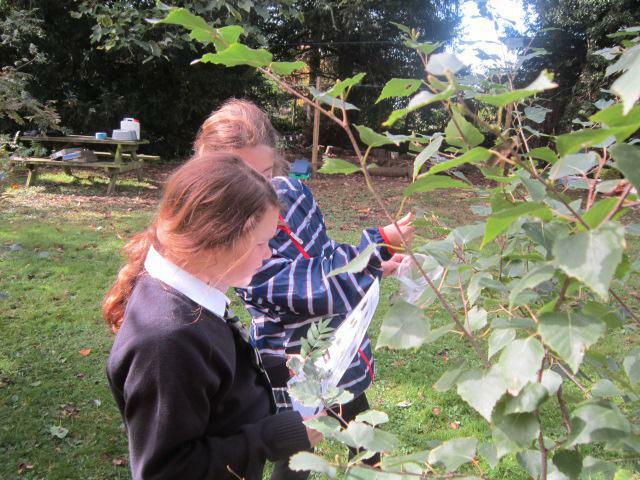 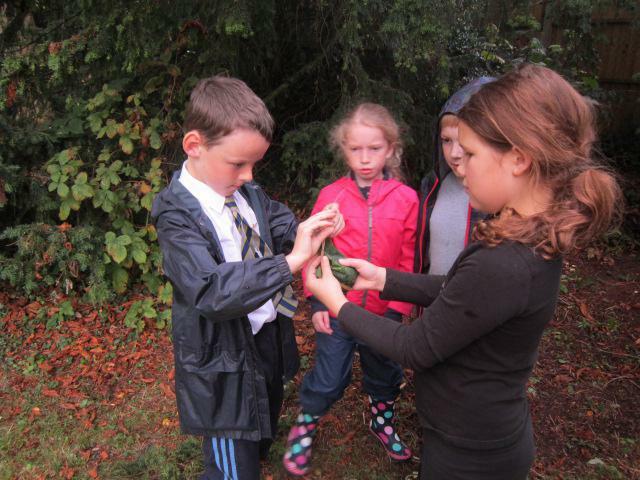 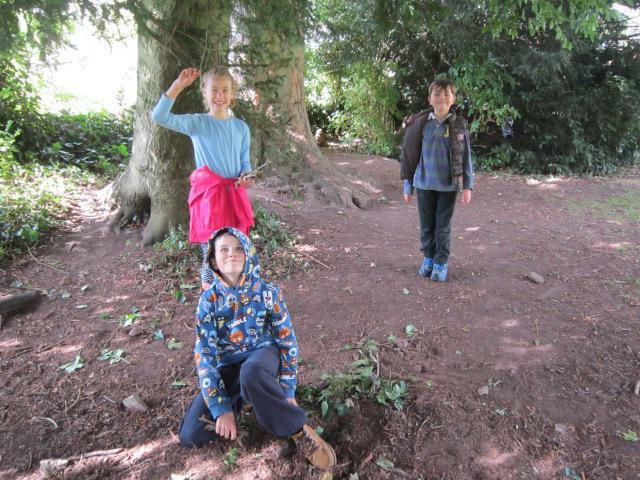 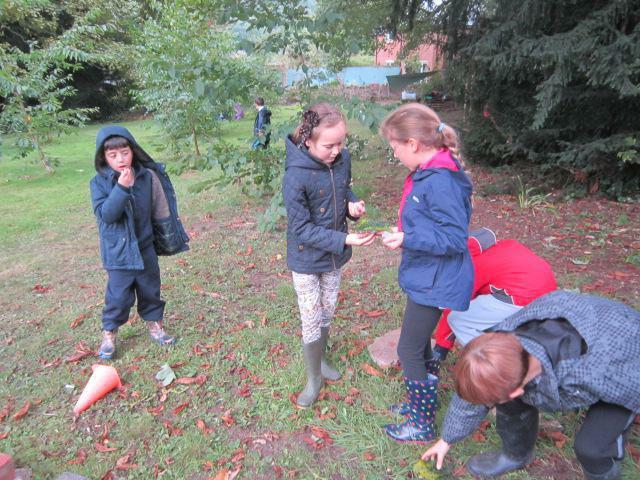 The children worked in small groups to identify all of the different species of trees on our field.